These days in International cricket almost everybody can hold a bat and can contribute in one way or another, whether it be chipping in with some quick runs or digging in and helping out a top order batsman save a game, draw one or getting him to his fifty or hundred. This has not always been the case however and we showcase the men who didn’t, and some that still don’t, know which end to hold. So who is the worst batsman in history? Chris Martin of New Zealand is an archetypal tail-end batsman. Geoffrey Boycott has described his efforts with the willow as "hopeless", while former New Zealand international turned Sky Sports pundit Martin Crowe famously dubbed him “the worst batsman ever to play the game” and “the worst batsman in the history of cricket”. Is this fair? Well Martin has a test average of 2.51 from 100 innings with a top score of 12. What is even more amazing is that he has taken almost double the amount of wickets (229) than he has scored runs (123). It is fair to say that there are better bats in a cave! England have produced some absolute terrors too. From Pat Pocock in the mid-eighties, where he winced and jumped out of the way against the West Indies in fear of his life, through to the nineties where we had a plethora of non triers and the plain terrible. Pocock...shown here backing away from the Windies spinners! The 1999 Test versus New Zealand was a very special occasion for ferrets. England not only had an awful number eleven, they had FOUR of them. 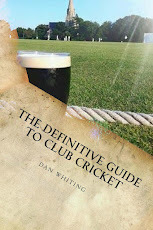 Andy Caddick, Alan Mullally, Phil Tufnell, Ed Giddins made up the laughable lower order. Ed Giddins was bad; he batted seven times for England and he finished with a career average of 2.50. On three of those occasions he made a duck. Even worse was Alan Mullally; from ’98 to ’01 his scores were 0, 0, 0, 0, 4, 0, 16, 0, 0, 10, 5, 3, 10, 0, 0. Al Mullall - Missed out on ale! The problem with Mullally was that he was a trier, shite but a trier. David ‘Bumble’ Lloyd, in 1996 at the Oval versus Pakistan, made a bet with the lanky tailender. "I made Alan a bet. I said: “You get 30 and I'll buy you 30 pints of Guinness. That's a promise.” Now, he wasn't a big drinker but he took it on." Mullally took it to Wasim Akram and Waqar Younis and reached 14 in no time, and then got ten more to reach 24 with five boundaries. "It was then that he gestured to the dressing room," remembers Lloyd. "He made a drinking-a-pint sign with his hand. I even heard him shout to me, 'Get 'em in!'" Wasim then knocked his house down, and he was only one hit from an unlikely prize. Bumble was no doubt relieved! Phillip Clive Roderick Tufnell was a proper ferret. He once nicked one to the keeper off Allan Donald and shouted "catch it" himself! When it wasn’t given he took his glove off and started rubbing his hand; almost a reminder to the umpire that he got it wrong. 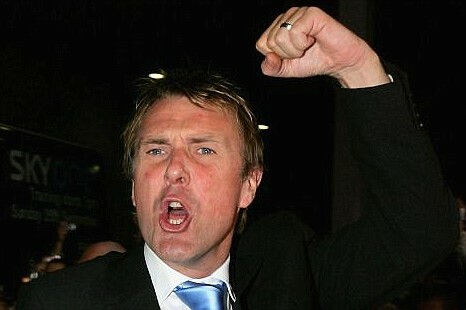 What did Tuffers expect? He got 90% of his decisions turned down! Tuffers was the opposite of Mullally and Angus Fraser. He just didn’t give a toss, claiming that he was never going to get a Test hundred so why bother training? He got in numerous bust ups with Duncan Fletcher- a man who transformed the fortunes of England tailenders. He took guard nearer to the square leg umpire than he did to middle stump and famously fell over while trying to play Shane Warne but he does have an excuse: “They were all brilliant, the bowlers I faced. If I can't see Allan Donald in the middle, what's the point of practising in the nets? I'm confident that, given a half-volley outside off stump, I would have put it through cover for four but all I remember ever getting were bouncers. They were all at my bloody head." Angus Fraser was a trier of Mullally propotions and The former England coach Lloyd remembers Old Trafford 1998 against South Africa. England, following on, could not win but a draw would keep them in the series. "Right," said Fraser, as he went out to face Allan Donald. "The only way he'll get me out is if he knocks me through all three." "I said: 'He probably will, Gus, but good luck,'" chuckles Lloyd. "But he survived. 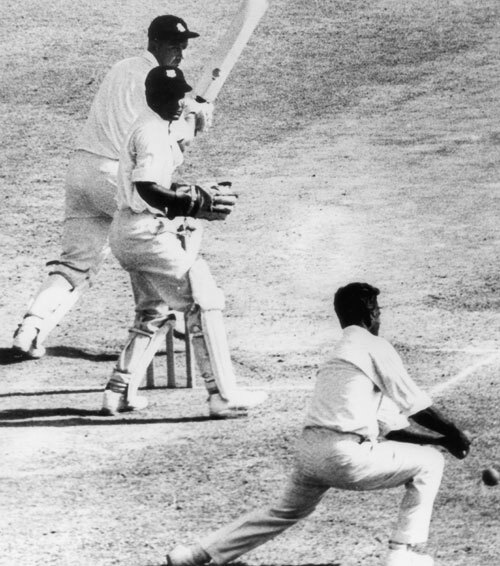 A red-inker it was and in retrospect one of the most important innings of the series". If anything sums up the way tail enders were looked upon by England coaching staff, Devon Malcolm remembers a tour to South Africa when he was batting really well in the nets. Malcolm had 16 test match ducks and an average of just under five. “The batting coach on that tour was John Edrich. He came over to see who was playing so sweetly, took one look at me and walked away." 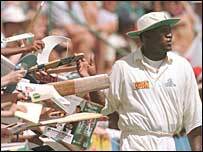 Devon Malcolm getting a choice of bats to use. These boys are a far cry from the technically correct ferrets of today. A lot of this is because of Duncan Fletcher and part of his ‘plan’. Fletcher can take the credit for Hoggard, who in 2000 was a genuine number 11. Come the Ashes in ’05 Hoggy was a more than capable number 9, a trustworthy nightwatchman and had a forward defensive Chris Tavaré would be proud of. So now today, let’s not worry too much if Finn gets picked over Bresnan or if Prior bats at six. Let’s just be relieved that our 8,9,10, Jack’s combined average isn’t below 30! For me its between Tuffers and Devon Malcolm, although surely Courtney Walsh is a contender too...? But I guess the question is whether either of these are bad enough to be up there with the "Walking Wicket"?